These presentation slides 50174 are complete compatible with Google Slides. Simple download PPTX and open the template in Google Slides. 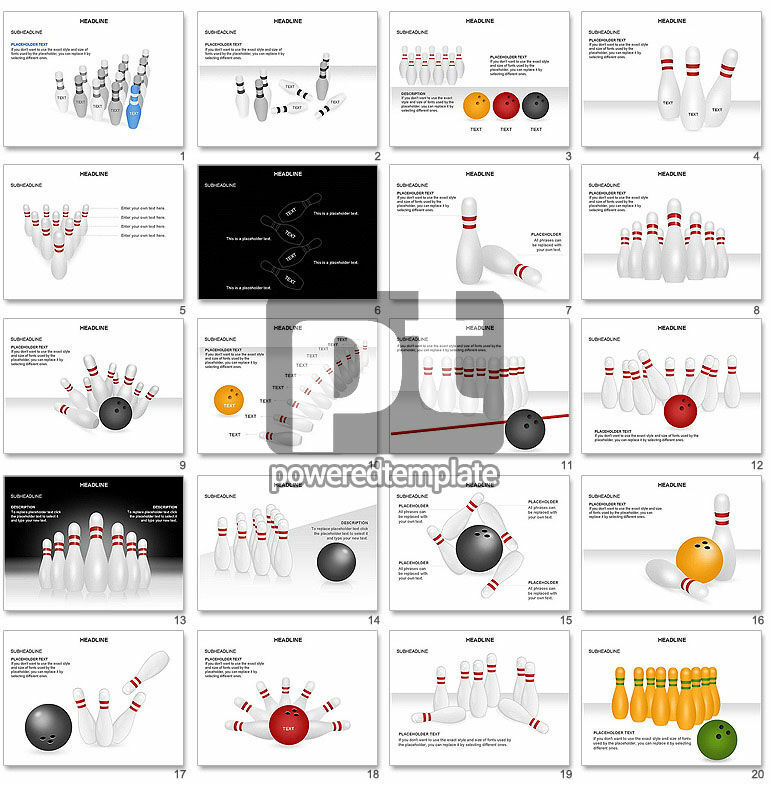 Bowling alley pins and balls made this presentation unique and thematic. Such pins represented in a combination of various colors, different sizes, text inputted in the body of the pills, and balls decorated by bright colors. This slide deck may be applied for bowling club representing and other entertainment center and so on.